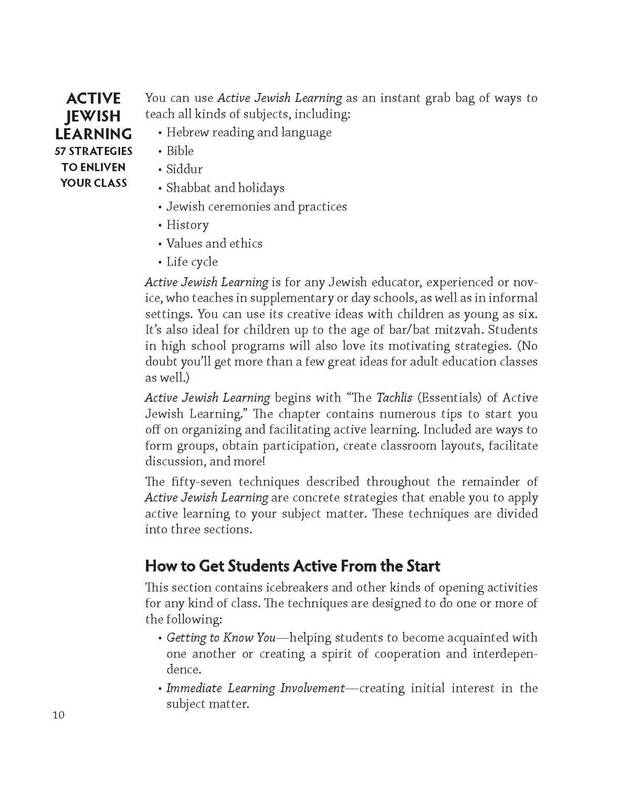 What People are Saying About Active Jewish Learning “Active Jewish Learning is a must-read for anyone interested in teaching about Judaism. 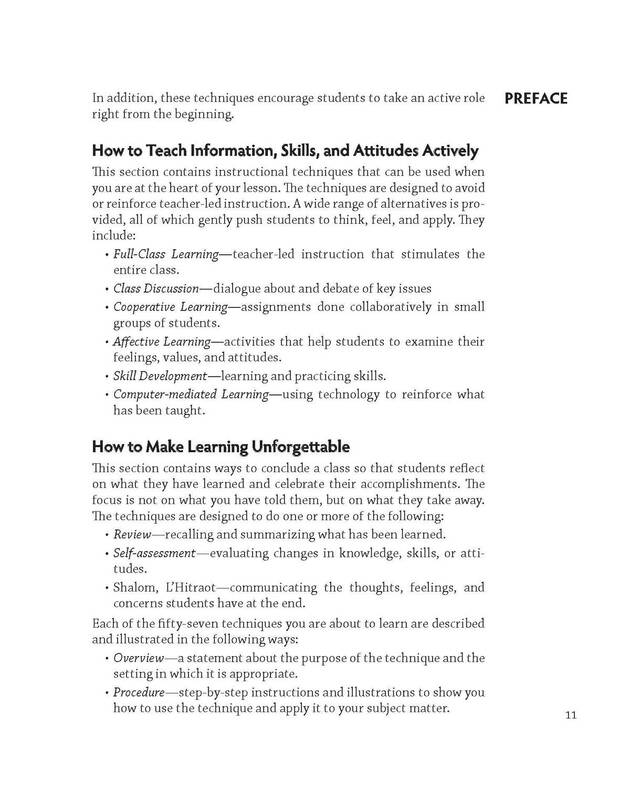 Applying 35 years of teaching expertise, Shoshana and Mel Silberman bring their engaging and practical approach to all Jewish educators.” - Dr. Ron Wolfson, Fingerhut Professor of Education, American Jewish University and President, Synagogue 3000 “Active Jewish Learning is a gift to all who want to enhance the quality of Jewish learning. 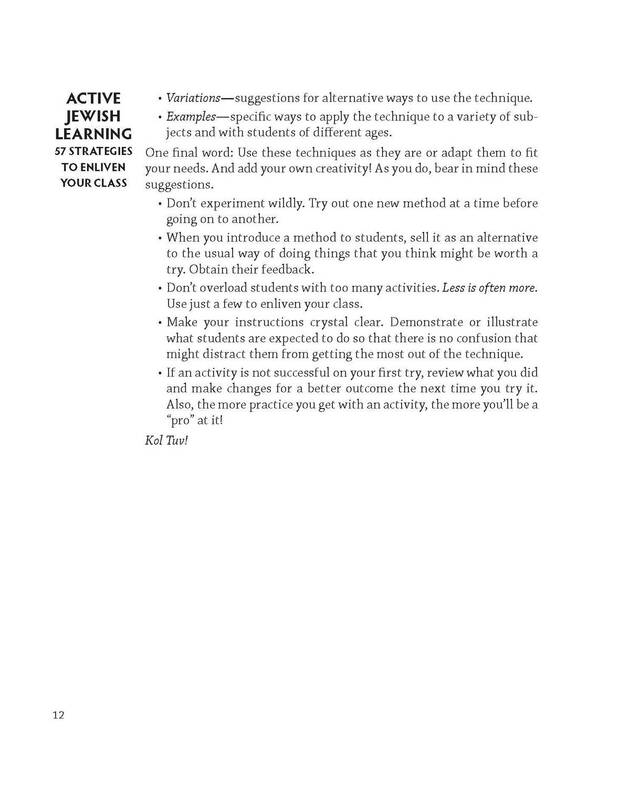 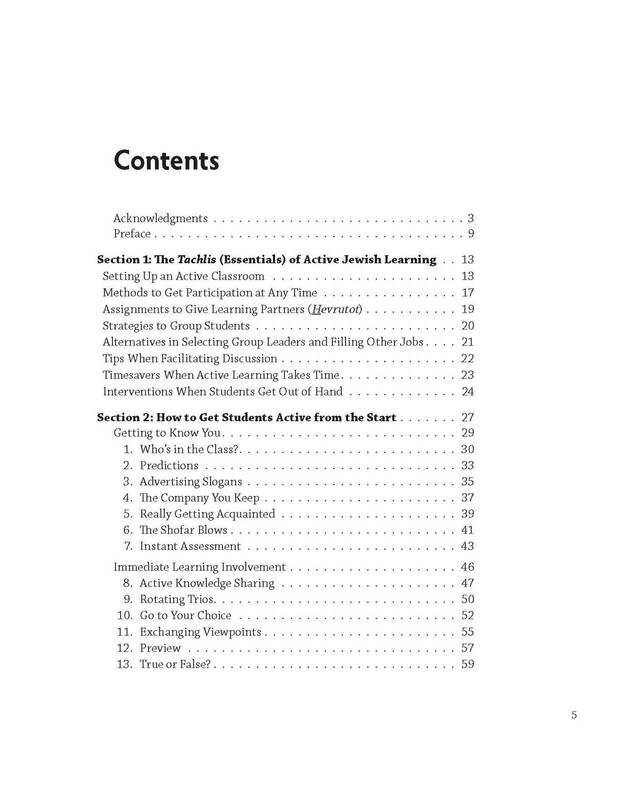 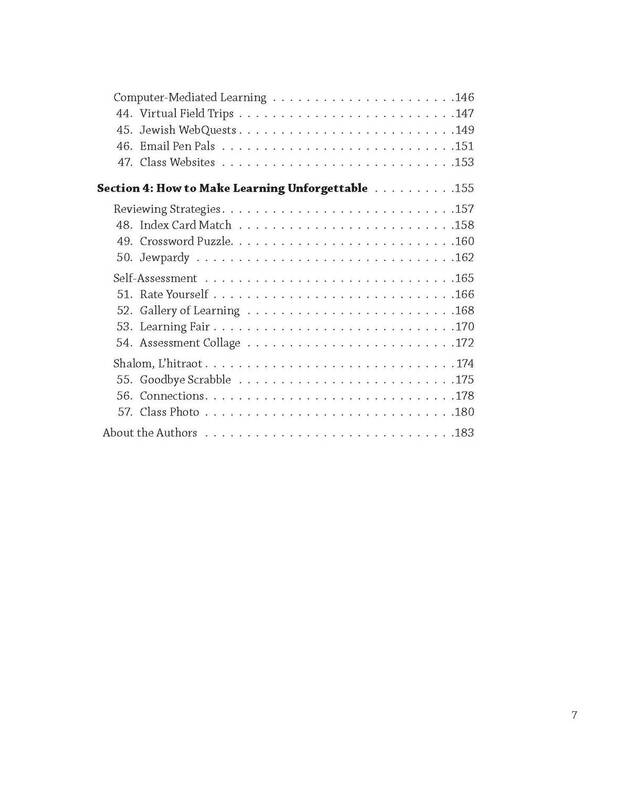 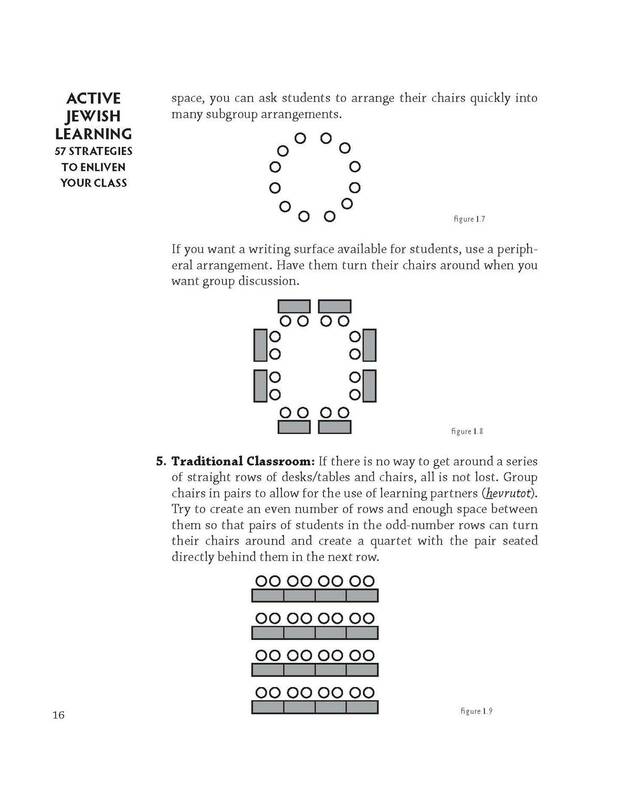 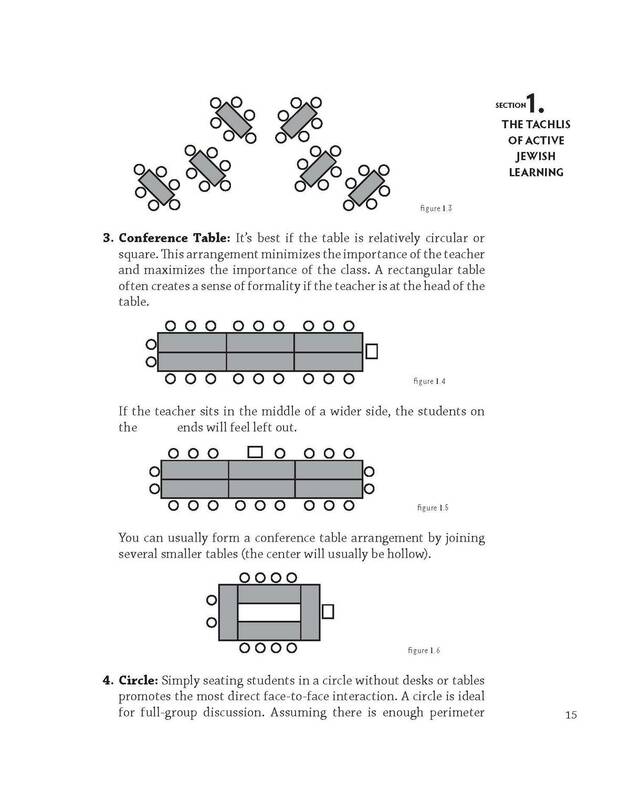 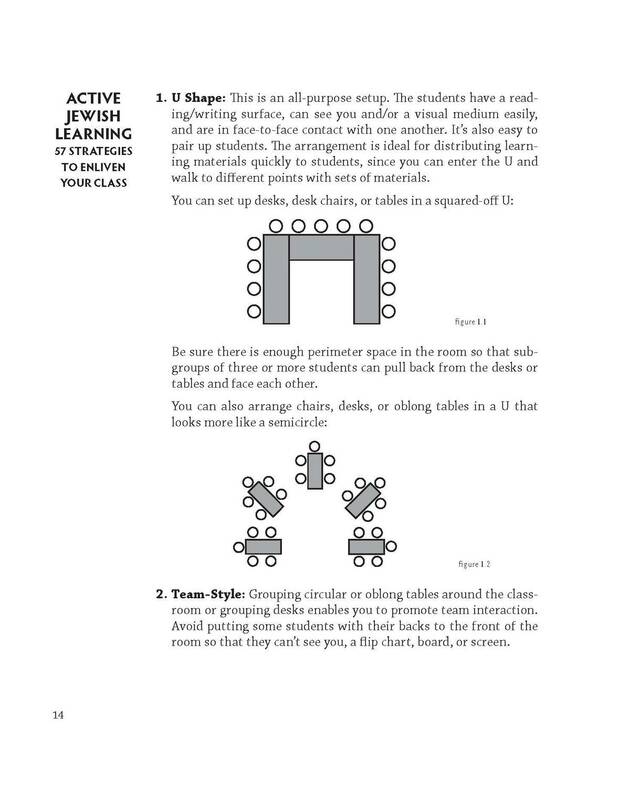 It offers many strategies and steps for creative, engaging teaching in a rich and multi-faceted menu.” - Rabbi Robert Abramson, Director, Department of Education, United Synagogue of Conservative Judaism “The 57 strategies and the dozens of variations and examples presented in Active Jewish Learning will keep students turned on and turn even novice teachers into pros. 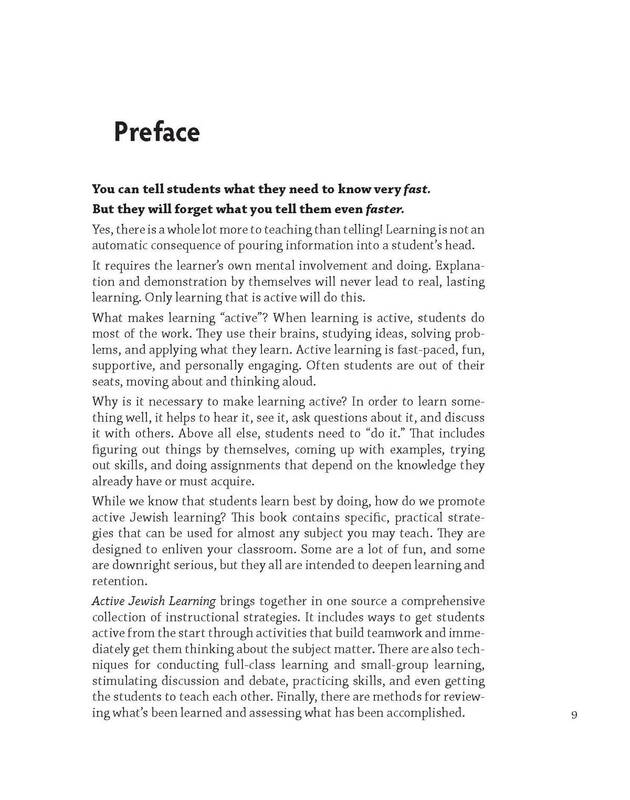 Every teacher and group worker needs a copy of this invaluable and challenging collection.” - Audrey Friedman Marcus, Co-founder, A.R.E. 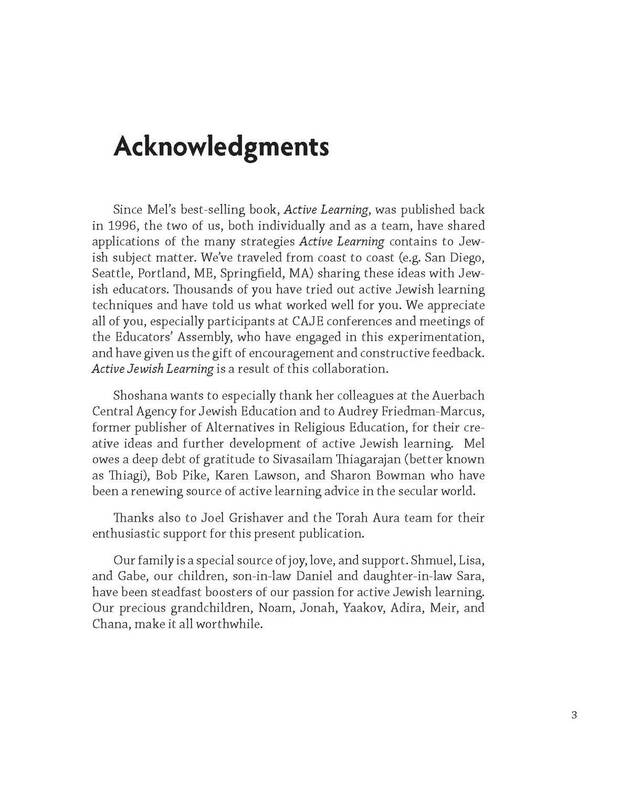 Publishing, Inc. “Shoshana and Mel Silberman are passionate about creative Jewish education. 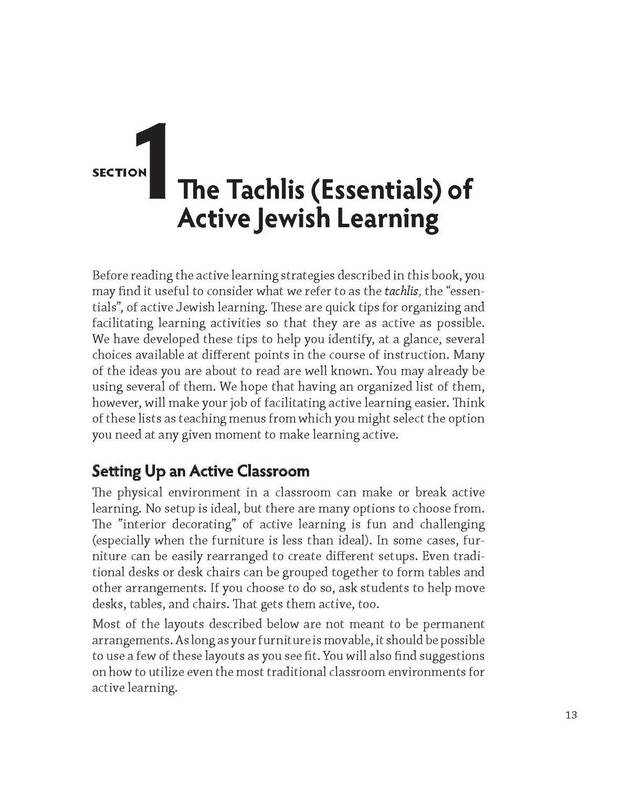 Their book Active Jewish Learning gives all Jewish teachers an invaluable resource that can be used every time they want to involve their students.” - Helene Z. Tigay, Executive Director, Auerbach Central Agency for Jewish Education.